Just off the Eastlink, Regis aged care in Dandenong is a quiet, residential area just across from the BJ Powell Reserve. Aged care in Dandenong features lush courtyard gardens with raised garden beds, family lounge areas perfect for a catch up with loved ones or friends, and multiple communal areas for entertainment and fun activities. The quality of care is consistently high throughout all Regis facilities. Innovative aged care services such as ageing-in-place, dementia specific, respite and supported care can be found at our aged care facilities in Dandenong. Having the freedom of choice is important to us at Regis. We are constantly striving to offer various options for our residents. 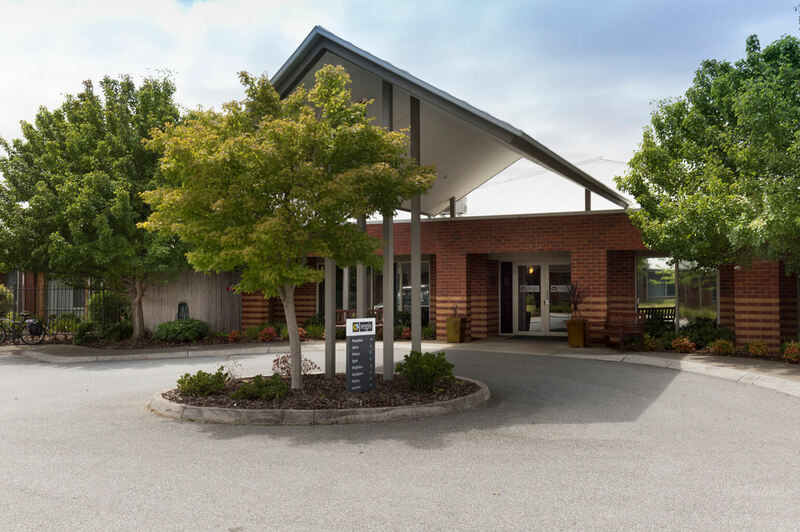 Our aged care facilities in Dandenong offers over 150 beds, with choices of rooms such as single with en suite, single with shared en suite and double with en suite. Let Regis show you what contemporary aged care in Dandenong is like. Come and visit us at 5 Bakers Road, Dandenong North, or book a tour with us ahead of time.